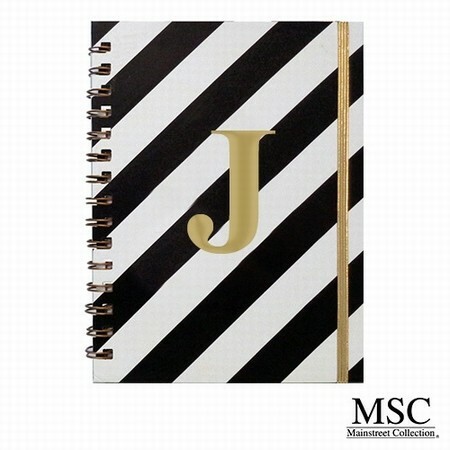 New Arrivals are Mainstreet MSC black and white glossy monogrammed journals with gold monogrammed initial. Choose from two designs of polka dots or striped monogrammed clipboards. Contains 60 pages and measures approximately 6.5" X 8.5".